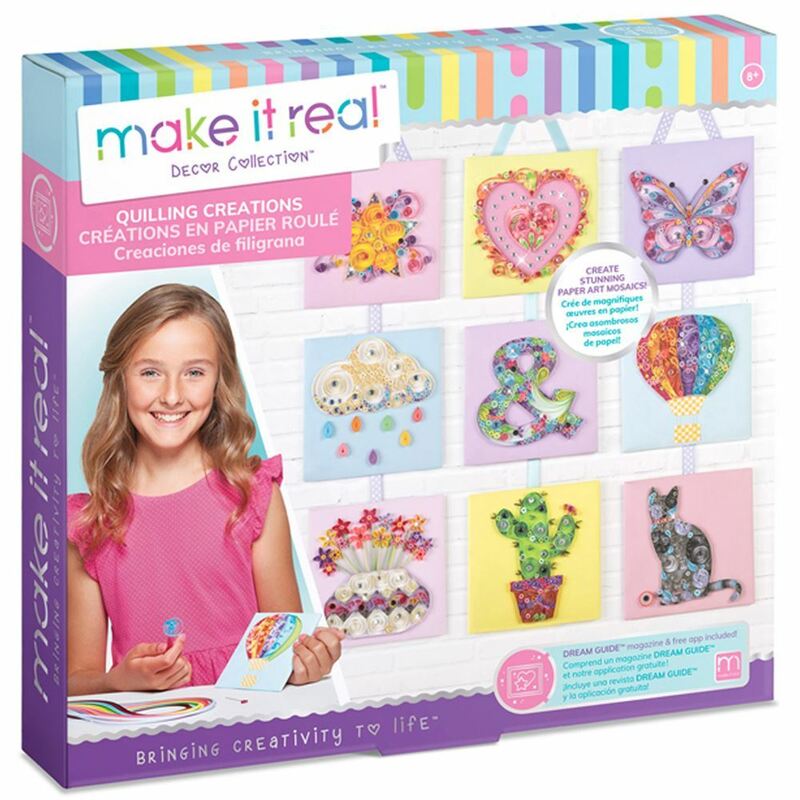 Interior decorators of tomorrow, start learning the basics with this Quilling Creations project from Make It Real. With this handy kit, artists in the making will learn how to take ordinary materials and turn them into nine extraordinary mosaic masterpieces. Includes: 18 colours of paper strips, twirling wand, quilling stencil, 9 templates, 9 cardboard pieces, tweezers, pinboard, gem stickers, 2 colours of ribbon, pins, thimble, toothpicks, craft glue, instructions and a dream guide. Age 8+ years. Part of the Decor & Fashion Collection. Distributed in New Zealand by Holdson.